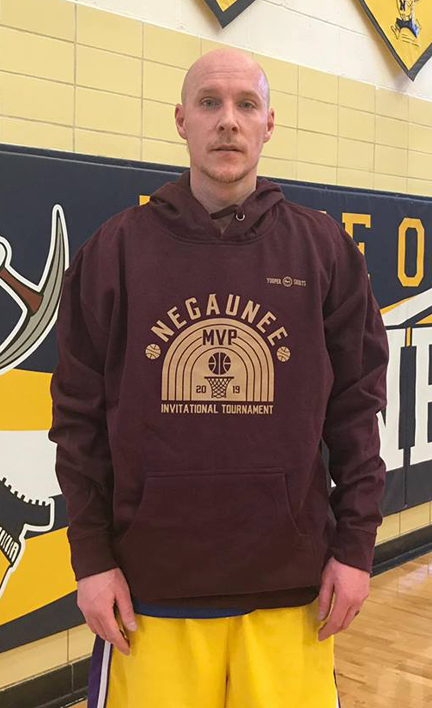 NEGAUNEE — Most valuable players Naba Echols and Jason Boucher led their teams to championships on Sunday afternoon during the second and final weekend of this year’s re-emergence of the Negaunee Invitational Tournament. The tourney was restored by the Negaunee High School softball program after an absence of five years. The event was last held in 2014 in its 50th running. 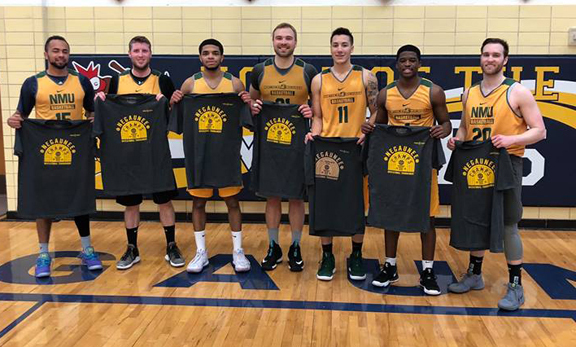 Echols and Northern Michigan University men’s basketball teammate Isaiah Johnson, both of whom played for Class B champion Thrivent Financial, just completed their senior seasons as Wildcats barely a week earlier. They were the top two scorers in the GLIAC for the 2018-19 season and each earned First Team all-conference honors. So it was no surprise that Echols was “B” MVP and Johnson made the “B” all-tournament team. On Sunday in the championship game, Johnson scored 32 points and Echols 22 as Thrivent blew past McNeil’s Oilers 97-70. Matt Curtin and Erik Peterson each had 15 for McNeil’s. Joining Johnson and Curtin on the “B” all-tourney team were Curtin’s teammate Kurt Lehman, Dustin Oesau of Midway Rentals and Dillon Gordon of Team Uren. 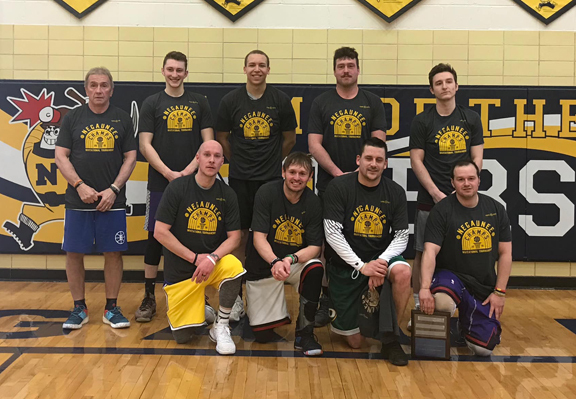 In Class C, Boucher, a former player at Menominee High School, Grand Valley State and in German pro leagues, led Juiced Apparel to a 93-84 win over AdvantEdge in their finale. Boucher and Iron Mountain High School athletic director Joe Pontbriand each scored 21 for the winners, while ex-Munising High star Kenya Oas had 25 for AdvantEdge. In addition to Pontbriand, the “C” all-tournament team included Oas, AdvantEdge teammate Adam Nolde, former Superior Central star Dylan Johnson of Bell Forest Products and George Butvilas of Upbeat Sports. In other games Sunday, Midway Rentals opened the day by edging out Team Uren 67-63 in a “B” game. Oesau scored 21 and Brendan Bauer 20 for the winners, while Gordon had 20 for Team Uren. In a Class C semifinal, AdvantEdge blew past Upbeat Sports 91-60 as Nolde scored 28 for AdvantEdge and Butvilas had 19 for Upbeat. And in the Class B loser’s bracket final, McNeil’s tripped up Midway 91-58. Cal Reindl had 23 for the winners while Devin Oesau 17 for Midway.